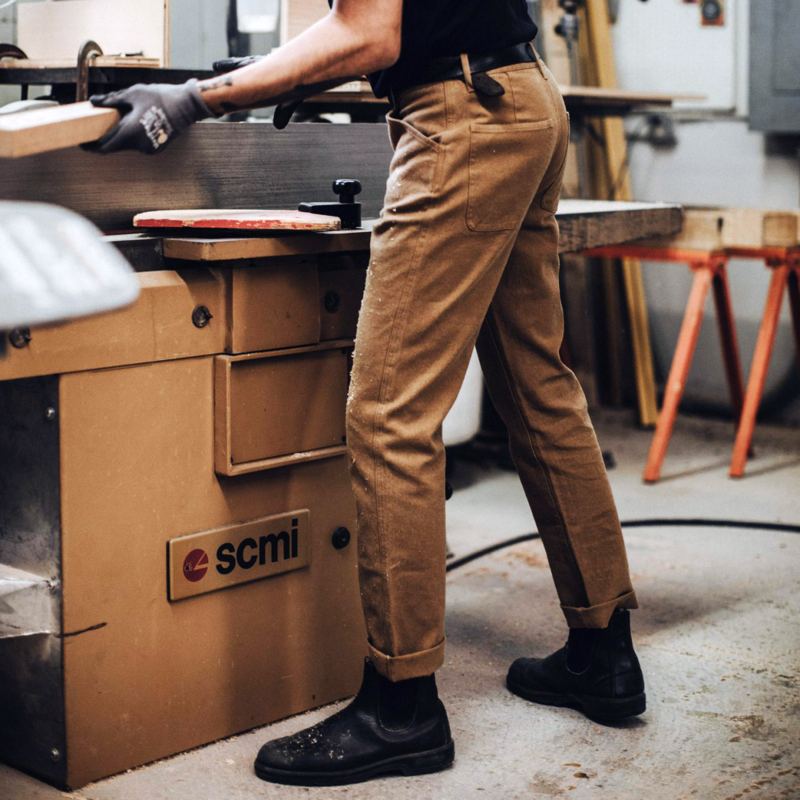 The apparel artisans at Taylor Stitch aren't usually given to bragging – they tend to let the clothes speak for themselves. So when they do blow their sartorial trumpet we tend to sit up and take notice. 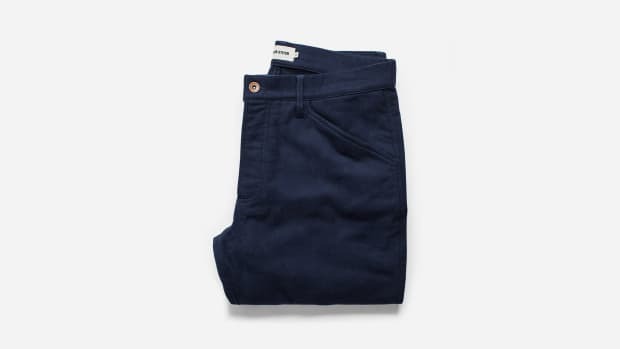 The occasion in question: they've invented a proprietary new material with the look and feel of classic cotton duck that seriously outperforms the original. Called 'Tuff Duck,' it's "the culmination of everything we’ve learned since we started making workwear" they say, which is no mean feat. 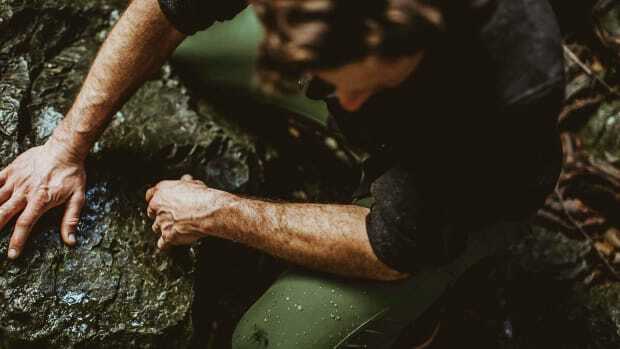 Tuff Duck, a bespoke blend of organic cotton, hemp, recycled polyester and just a touch of spandex, is no less than "the hardest-wearing and hardest-working fabric we’ve ever made," Taylor Stitch declares. 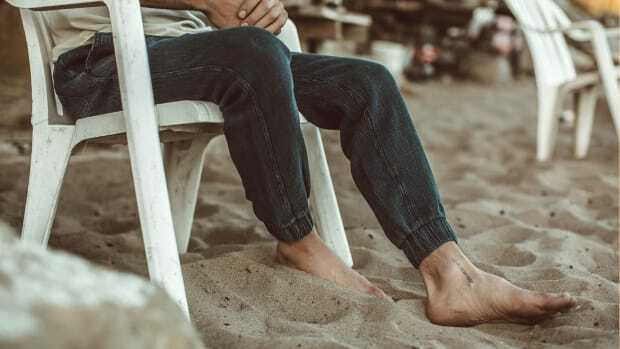 "Compared to cotton, hemp is much stronger, more abrasion-resistant, and dramatically better for the environment. 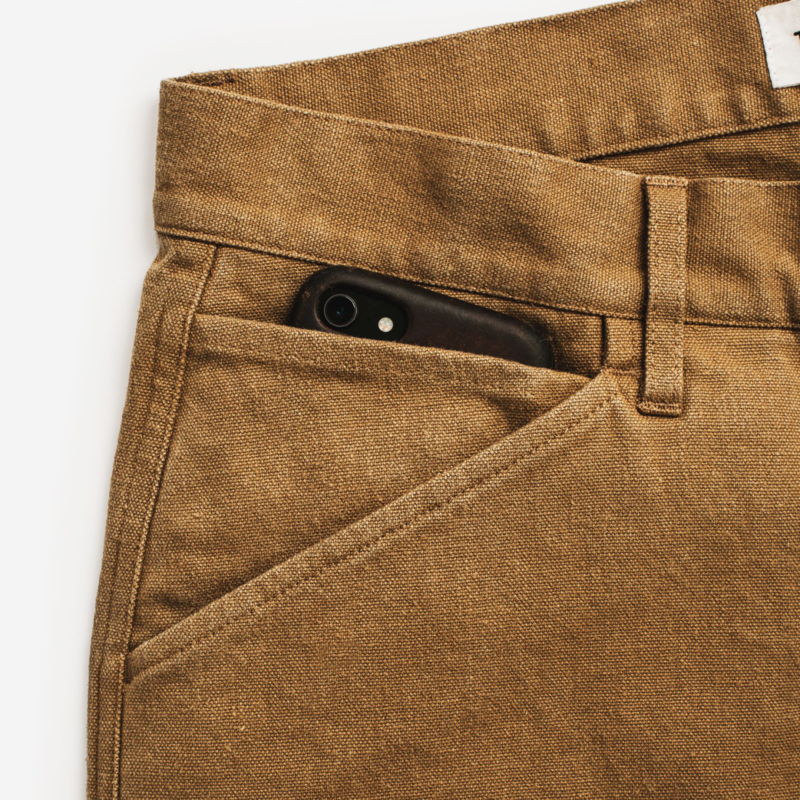 And we made no sacrifice on comfort and mobility—these pants will soften with wear, are breathable, and will move with you." 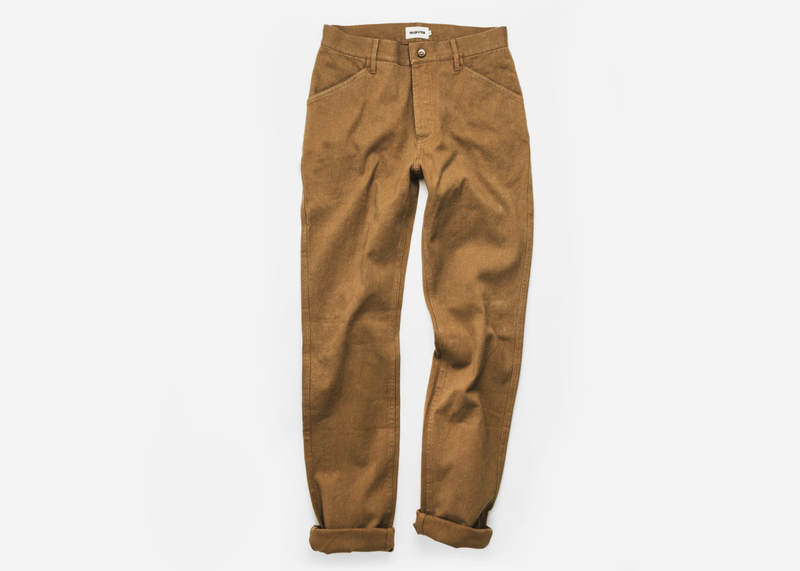 For starters, they've crafted the miracle fabric into two different silhouettes – Camp Pants and Chore Pants – available in British Khaki or Dark Olive. With a rinsed finish and just a touch of stretch, they feel well worn from day one but won't ever wear out. If you're feeling it, pick up a pair at a special pre-order price here and save an additional 20% if you sign up for their newsletter.